It’s champagne time! Dark Recesses Press will publish my post-apocalyptic horror novel, And You Shall Find, in May 2015. A big, honking, important WARNING for all my mystery fans: This is creepy, gory, in-yer-face HORROR. It is NOT NOT NOT a light, fun, Giulia Driscoll adventure. From Sisters in Crime and Henery Press–real stories from real writers–like me! 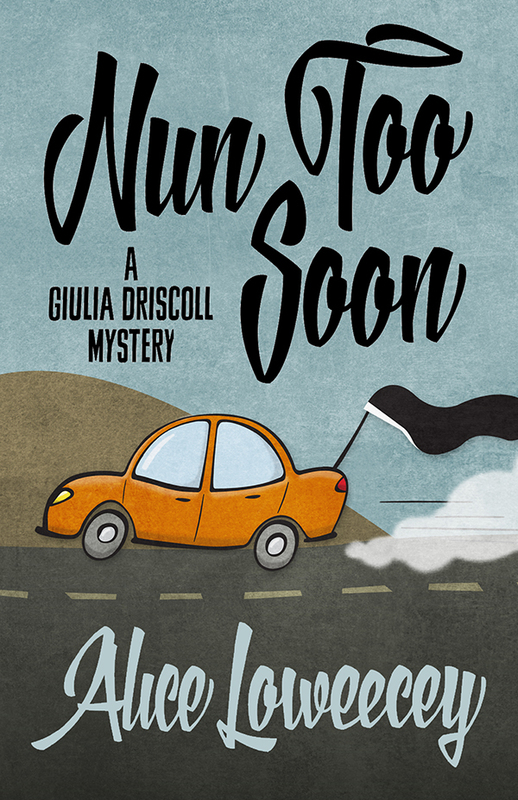 Nun Too Soon ARC Giveaway! ARCs of Nun Too Soon are here and you can win one! Click here to enter the Goodreads giveaway. This cover is so much fun! The book releases on January 13, 2015.. I’ll post links when they go live. I’m very happy to announce that Henery Press will be publishing THREE new Giulia Falcone books! Look for the first in January 2015. 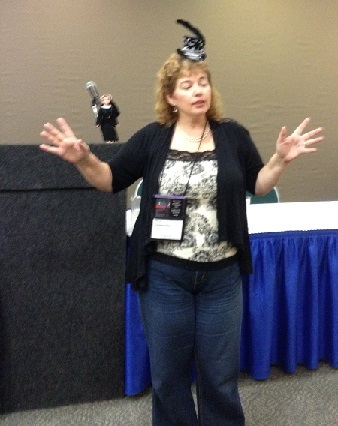 At Bouchercon 2013 in Albany. NY! 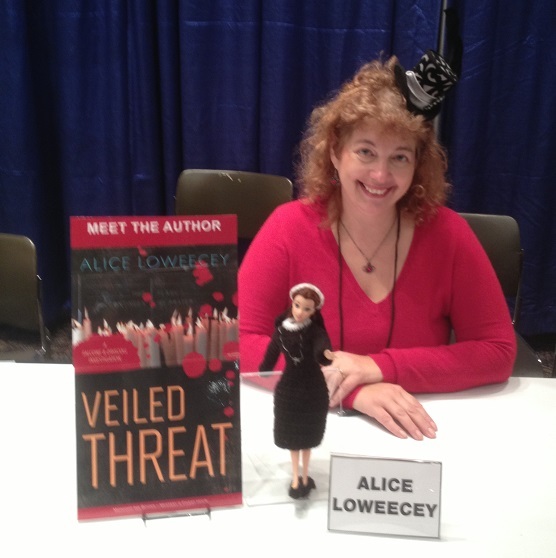 All set to sign copies of Veiled Threat at Mystery Mike’s booth. 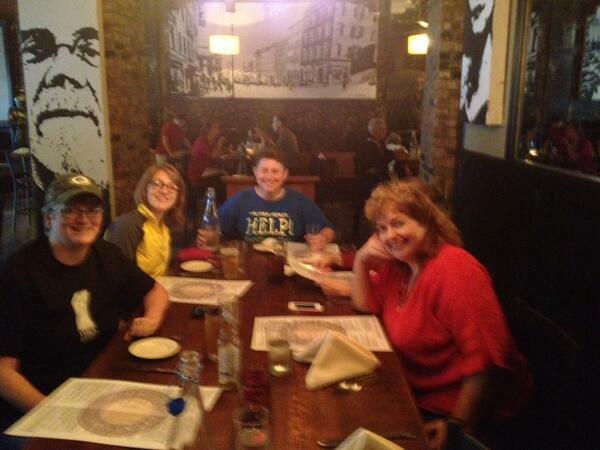 Dinner at The Capitol pub and grill with fellow Midnight Inkers and friends. Ex-nuns and Cults and Shenanigans, Oh My! And so are Killer Brownies, to Bouchercon in Albany, NY Sept 19-22. I’ll be hosting my own Author’s Choice half-hour on Friday, Sept. 20 from 9:30-10 am. I’ve got some funny convent stories to tell–and some cautionary ones. Because it’s an early-morning timeslot, I’m also bringing my homemade Killer Brownies. Coming to B’Con? You know you want one of these. Or two. Stop by! Here’s the Author’s Choice schedule. On Thursday, Sept. 19 from 3:15-4 pm I’ll be part of the Midnight Ink signing at Mystery Mike’s booth. Come by for autographs from myself and fellow Inkers: Jessie Chandler, Colin Campbell, Catriona McPherson, and Terri Nolan! On Saturday Sept. 21, I’ll be on the Streetlife Serenade panel in Room 4 from 9 – 9:50 am. Here’s the programming schedule–I’m at the top of page 11. 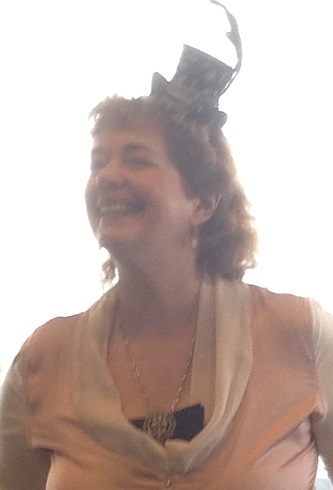 It’ll be easy to find me–I’ll be in my brand new Steampunk fascinator! The Girl in the Steampunk Hat comes to the Festival of Mystery! Thanks to my wonderful web designer, we’re back! It’s a little disconcerting to log on to one’s own website and see nothing but one ancient page. Computers–we love ’em. Right? If you’re in the Pittsburgh area, come see me at the Festival of Mystery on Monday May 6th at 4 pm. Click the link for all the details. Hope to see you there! 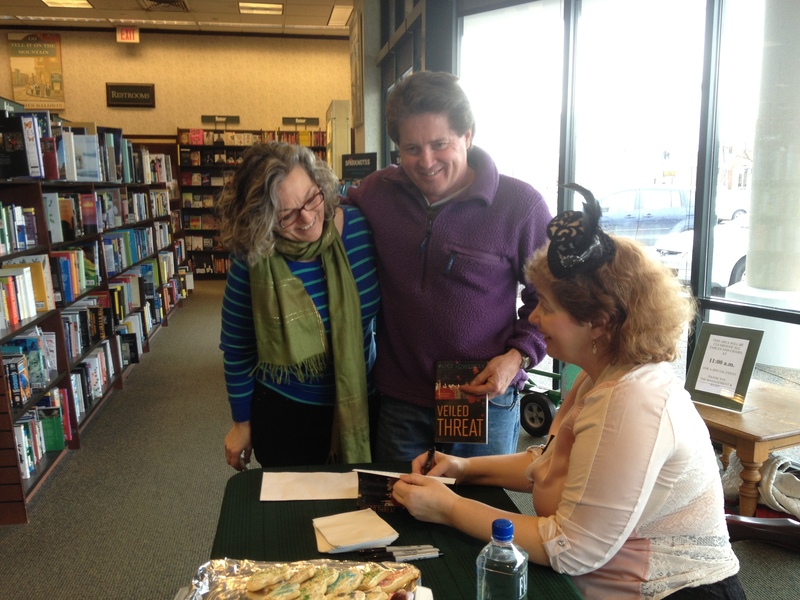 At the Amherst NY Barnes & Noble, February 16, 2013. 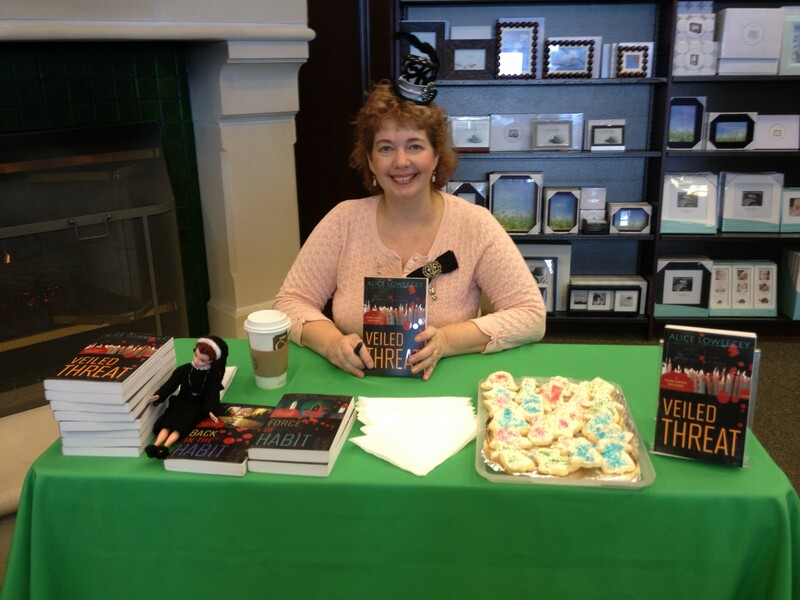 Fun, friends, cookies, and signing books! 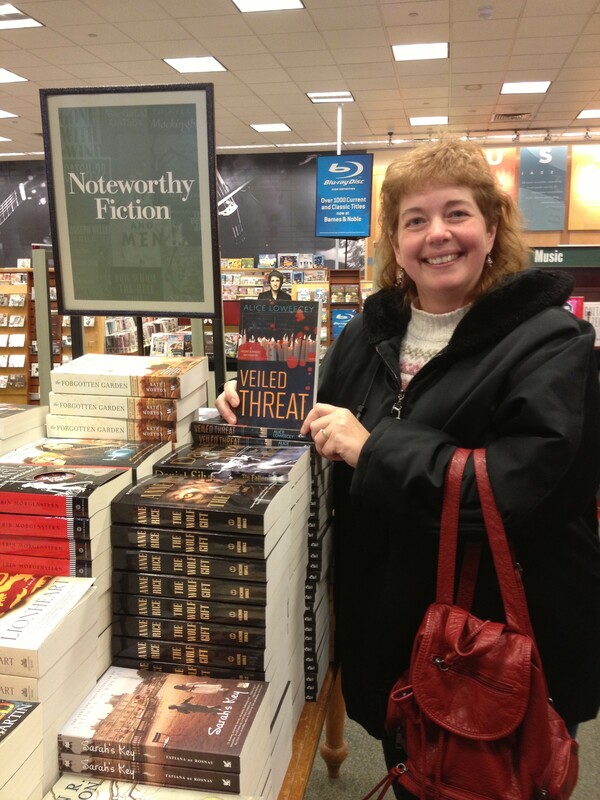 This is the Amherst NY Barnes & Noble Noteworthy Fiction table. This is where they stocked Veiled Threat! 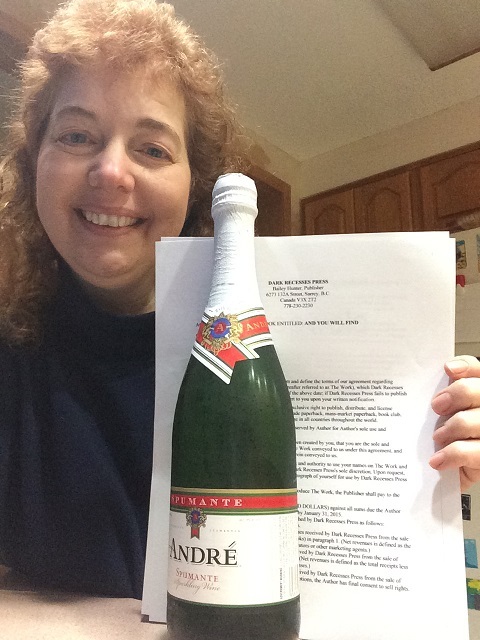 Pssst: Kate Morgan has more news! Nun After The Other is a hit! Remember Giulia Falcone? She’s back! The Clock Strikes Nun is here! Mystery Thriller Week is coming! It’s Nun but the Brave time! Only 4 Weeks to Nun But The Brave! Books, Books, Books and Champagne! Second To Nun Cover Is Here! Happy Book Birthday, Nun Too Soon! Read “Changing Habits” Now! Nun Too Soon Available Tomorrow! Live and In Person! With Cookies!